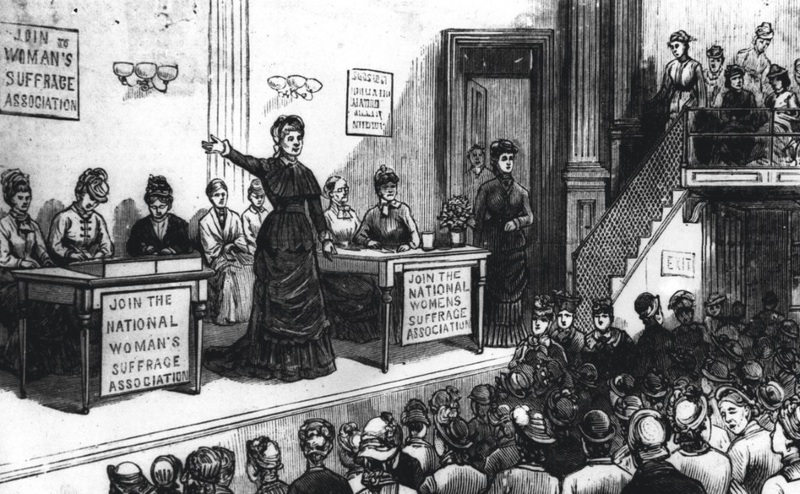 In 1848, there was a meeting held in Seneca Falls, marking the first ever woman’s rights convention. Two-hundred women showed up to the event to support woman’s suffrage. After years of annual meetings and a long fight, the nineteenth amendment was adopted in 1920; giving American women the right to vote. This motion did so much more than just give women a say in who can be in charge of our great country. This turning point in the USA, gave women a real taste of what it feels like to be considered an American. It also gave women equal pay for jobs that they were working just as hard in as the men, but not even receiving half the payment. This eventually started to spread into what we consider, ‘normal’. It did not take long for women to be granted permission to do other things as well, such as being able to participate in sports. The best part about this shift is, women’s activities were finally considered just as important as the men’s sports. They even began to gather quite a huge following in some of the teams and players that were female. The split between things that are male and female were even put in play in things as simple as band instruments. Due to this change in the way American was ran, gave women the right to be able to audition for different musical instruments, that they might have never been given the chance to try; prior to this amendment. Giving women the right to vote, made men believe that women might actually be equal to them. In fact, the right for women to vote is considered by many to be the birth of the feminist movement we all know and love today. This shift in the way things were ran did not just alter the outside world, it also greatly improved the culture of marriages. Having your significant other, truly believe that the two of you are a partnership, rather than a Master/submissive relationship, did a lot of good for both parties. This amendment paved the road for women to be able to have a higher education level. This advancement in the country, allowed women to be able to have a broader spectrum of options when it came to their jobs and what field they would wish to further advance their education. For all women today in America, education is something that can sometimes be taken for granted. It should always be remembered that, not too long ago; that was not always the case. It was something that had to be fought for, just like many things; it was not an easy road. One of the biggest changes that occurred due to this movement of women banning together to fight for what they believed to be right, was the way people think. It did not just give women the right to vote, it finally made other people see women as intelligent, hard working, strong, independent, motivated and skillful individuals who deserved just as much as men. Due to the culture shift, many roles between women and men were not only combined, but switched. This gave men the first time opportunity to finally see exactly what women had to go through. Even though the understanding will never be one hundred percent there, we have come such a long way as a whole country from where we began.